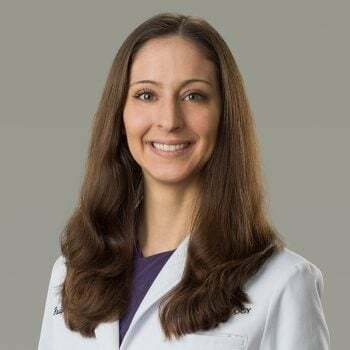 Bridget Kilbride is a certified physician assistant specializing in the early prevention of skin cancer by providing annual skin cancer screenings and education to her patients. In addition, she diagnoses and creates customized treatment plans for patients with skin conditions including, but not limited to, acne, eczema, rosacea, psoriasis, and warts. She also offers a variety of cosmetic treatments including Botox®, Dysport®, dermal fillers, chemical peels, PRP, PRP for hair rejuvenation and microneedling. Bridget enjoys taking the time to build relationships with her patients and providing them access to high-quality care, as access to dermatology resources can often be limited within small-town communities. She is excited to provide the communities of Stevens Point, Wisconsin Rapids and Waupaca with the skin care treatment they deserve. Communication is key. My desire is to meet patients where they’re at and to help each person feel valued and well heard by the end of each visit. Understanding what patients are seeking from their healthcare experience allows us to more adequately meet your skincare needs.